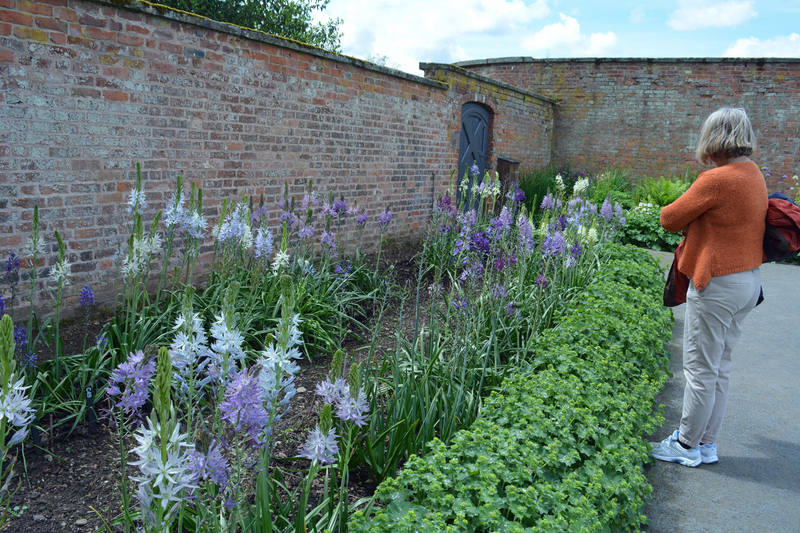 When we visit the walled garden at Attingham Park in early summer, we enjoy looking at their collection of the beautiful bulbs, Camassias. The ones usually seen are mid-blue and few varieties are made available via the garden centre trade. When we discovered the collection being built up at Attingham in part of the walled garden we were so pleased to see so much variety. 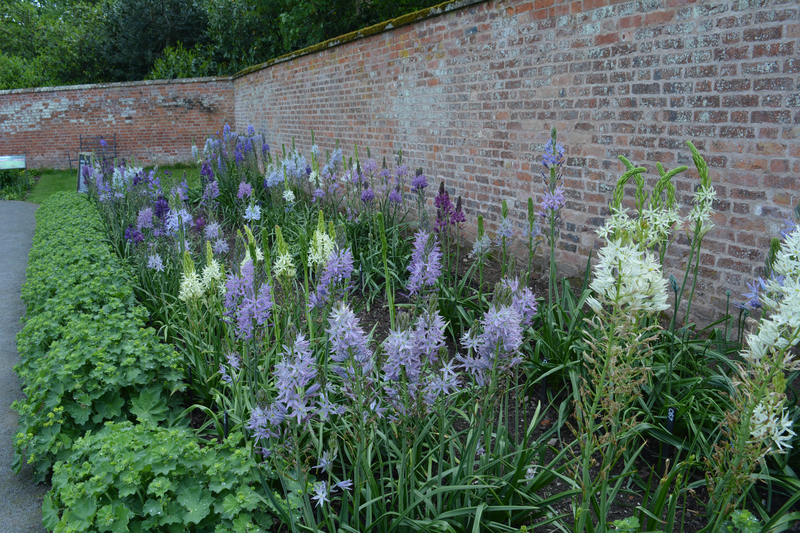 The Camassias were as popular with the bees, both wild and domesticated, as they were with us. We enjoyed spending time watching them moving from flower to flower in search of pollen and nectar. 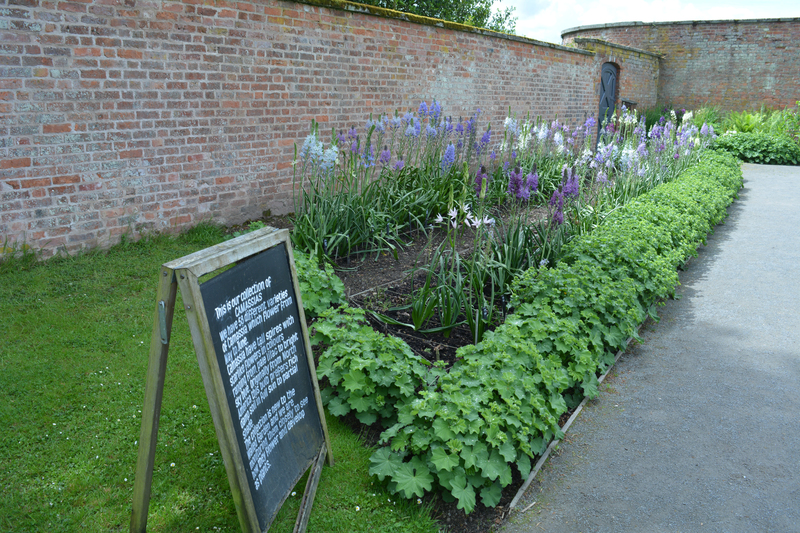 Below is a gallery of the photos I took of this wonderful collection of these valuable early flowering garden bulbs at Attingham. Please enjoy by clicking on the first photograph and then navigating by clicking the right arrow. This entry was posted in flowering bulbs, garden photography, gardening, gardens, gardens open to the public, National Trust, Shrewsbury, Shropshire, spring bulbs and tagged bulbs, cammasia, spring, spring bulbs. Bookmark the permalink. 1 Response to Camassias – subtle springtime beauties.